Sammi Sweetheart, Noose Around Your Neck » I Mean…What?!? Now you can smell and feel like Sammi Sweetheart. Sammi ‘Sweetheart’ Giancola is launching a capsule collection of jewelry on the heels of her signature fragrance, Dangerous. The Jersey Shore cast has marketed themselves to death, case in point, Snooki, who has 50 licensees of products ranging from bunny slippers to pocketbooks. I call Snooki the Pierre Cardin of New Jersey. Anyhoo, the limited edition collection of Sammi Sweetheart crap is priced from $15 to $45. 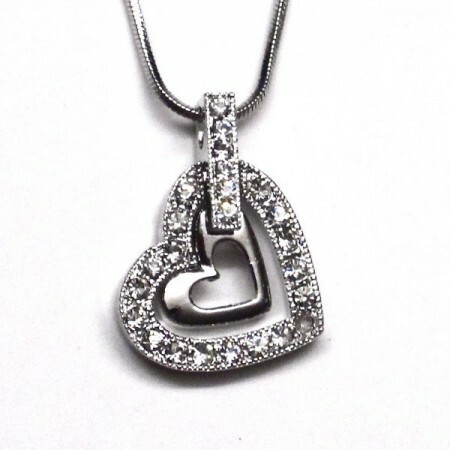 This Sammi Sweetheart necklace sells for $35. Do you think these are real diamonds?